Quarterly earnings at China’s search giant topped $1 bln, trouncing expectations. Sales at its listed video arm, iQiyi, also jumped. Baidu may have been eclipsed by rivals like Alibaba, yet progress in autonomous driving is giving it an early lead in tech’s next battlefield. A Baidu sign is seen during the fourth World Internet Conference in Wuzhen, Zhejiang province, China, December 4, 2017. 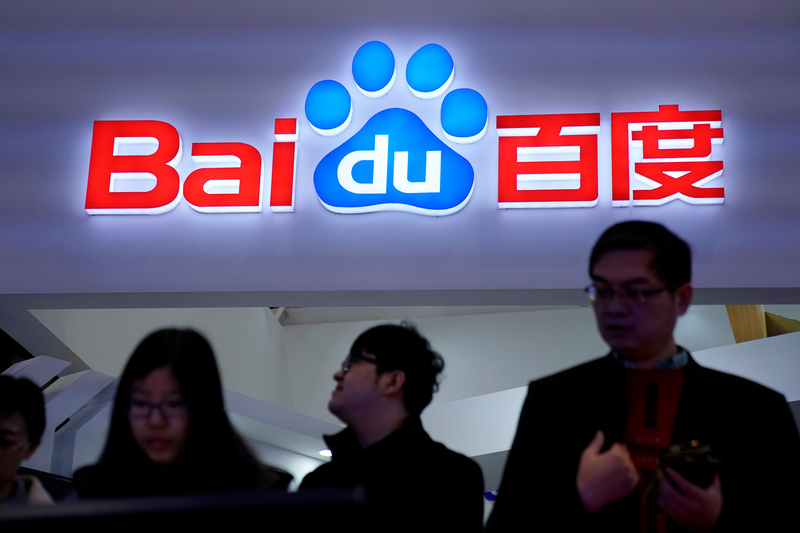 China's top search operator Baidu on April 26 said revenue for the three months to end-March rose 31 percent from a year earlier to 20.9 billion yuan ($3.3 billion). Earnings reached 6.7 billion yuan, an annual increase of 277 percent. That compares to the 2.9 billion yuan analysts polled on Eikon were expecting on average. Shares of the New York-listed company were up 5 percent to $250.58 in after-hours trading.